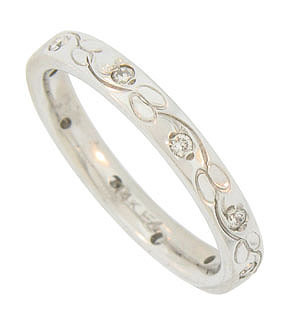 This 14K white gold antique style wedding band is embellished with a simple floral engraving. 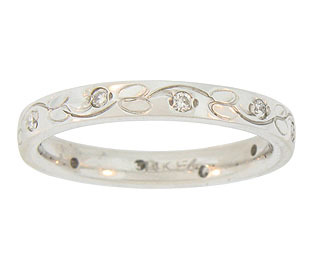 Fine faceted round cut diamonds press into the lovely design. This romantic wedding ring measures 3.08 mm in width. Size 7. We cannot re-size.